What goes up must come down – and down, and down, and down at incredibly dizzying speeds on the Drop Tower, among our guests’ favorite rides. 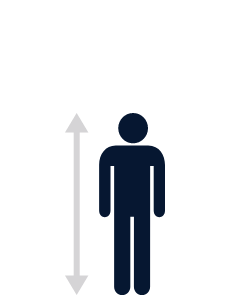 Your Drop Tower experience begins by strapping into an open car, feet dangling, and spending the next 35 tension-filled seconds ascending 225 feet into thin air to the peak. On a clear day, you can see 20 miles out into the South Bay, but trust us, you won’t enjoy that view for very long. 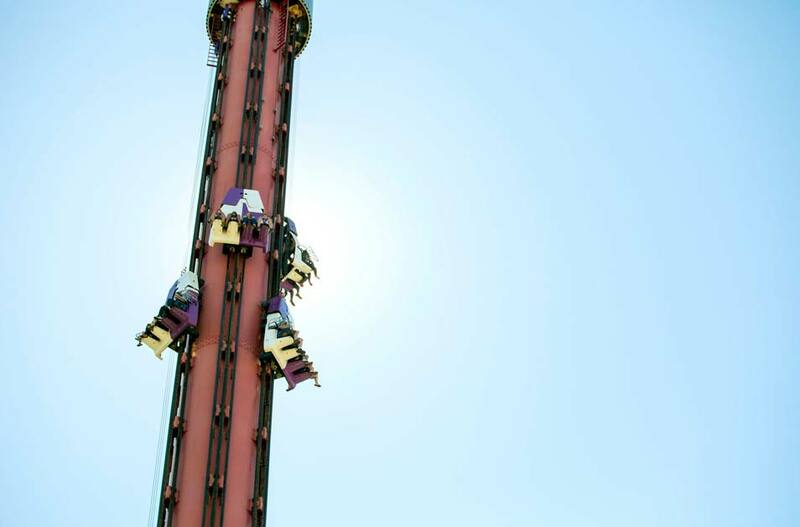 Before another thought can enter your brain, the ride releases and you drop -- you plunge -- you are completely emptied into a free fall of 20 stories in 3.5 seconds, reaching frenetic speeds of up to 60 miles per hour before the brakes kick in and – did that really happen? – you’re at the bottom and back to normal. 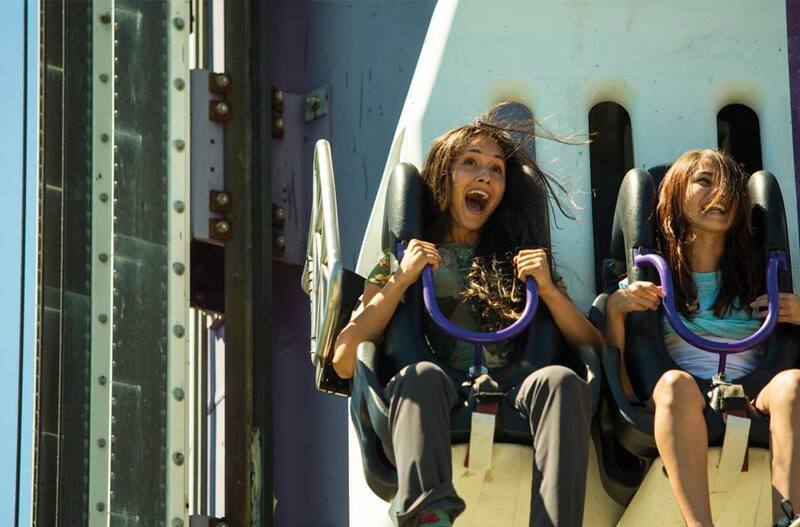 But, know this: after riding the Drop Tower, you’re never truly normal again. The adventure begins when riders are secured into the cars at ground level. Then a slow, but sure, rise to 220 ft. creates an incredible sense of anticipation for the rush about to occur. Once reaching the top, riders are positioned at the highest point inside California’s Great America, with views of Levi’s Stadium, the entire Silicon Valley and even San Francisco on a clear day, depending on which direction you are facing. That brief peace is soon lost as the countdown of 4, 3, 2, 1 begins and the entire vehicle plummets down—sending riders screaming as they reach speeds topping 60 mph in a freefall to the bottom. This also makes Drop Tower the fastest ride at California’s Great America. Guests must have one functioning arm and lower extremities that are sufficiently strong to maintain proper riding posture under the dynamic conditions of the ride with a normal center of gravity. Amputations must be at the leg or below. Guests with a cervical collar, neck brace, broken collar bone, full arm cast, or full leg cast are not permitted to ride. Guests with any type of leg prosthesis should not ride unless they can ensure the device is properly secured and will remain in place during the ride. Alternate access is available at the ride exit. Riders will have to transfer into the seat on their own or with the assistance of a companion. Warning: This ride uses magnetic systems during the ride.